Why are there days when happy people are SO annoying? 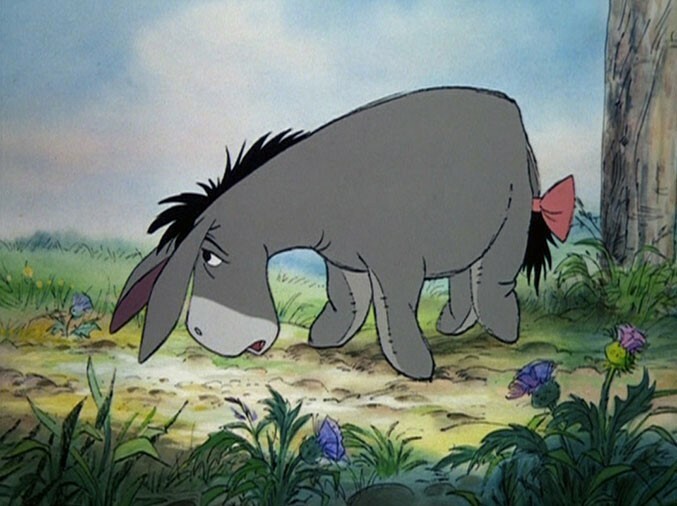 We were asked this question recently by a younger family member and it got us thinking about those Eeyore type days we all have from time to time. "Good morning, Eeyore," said Pooh. "Good morning, Pooh Bear," said Eeyore gloomily. "If it is a good morning, which I doubt," said he. "Nothing, Pooh Bear, nothing. We can't all, and some of us don't. That's all there is to it." “Can't all what?" said Pooh, rubbing his nose. "It's snowing still," said Eeyore gloomily. "So it is." "And freezing." "Is it?" "Yes," said Eeyore. "However," he said, brightening up a little, "we haven't had an earthquake lately." Both from The House at Pooh Corner. So why is it that on those days happy people are SO ANNOYING? Well, here’s the answer we gave him. Perhaps it’s that they’re not really happy but are just putting on a show. It doesn’t matter whether it’s a good performance deserving an Oscar or more of a “could do better” one. Consciously or unconsciously you’ve picked up on this. It doesn’t feel genuine and so annoys you. Often a lot. Or, perhaps, they really are happy and it’s acting as a reminder that you aren’t. It jolts you out of your Eeyore’ish state, making you annoyed in the process. You suddenly realise that you’re not your usual happy self, whatever the reason may be. But, here’s the good news, by doing so they’ve done you favour. Given you the opportunity to choose to be happy that day. It’s simply up to you whether you decide to take their hint. So what’s it to be? More “baa humbug” or skipping along singing happy song?